The T8GD1 series of tube lights from LEDtronics are UL-listed with dual mode capabilities, meaning they can be directly retrofitted into existing T8 fixtures with or without ballast point bypass, according to the company. The tube lights are 4 feet in length and are available in natural white (4,000K) and pure white (5,000K) color temperature selections. 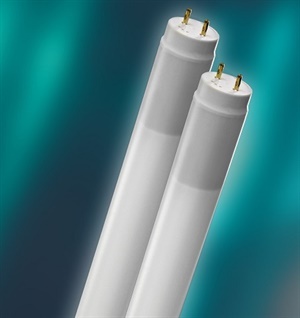 The 15-watt tube replaces up to 32 watts, while the 18-watt tube replaces up to 40 watts, providing an energy savings of up to 50%, according to the company. The T8GD1 series also features a beam of 180 degrees, and offers a voltage range of 120 to 277 VAC.